Just before Christmas I picked up a few little goodies from the Wet n’ Wild “Sequins & Stardust” Holiday/Winter 2016 collection. There were a few cute/odd glosses and eyeshadow pigments that are actually really fun! 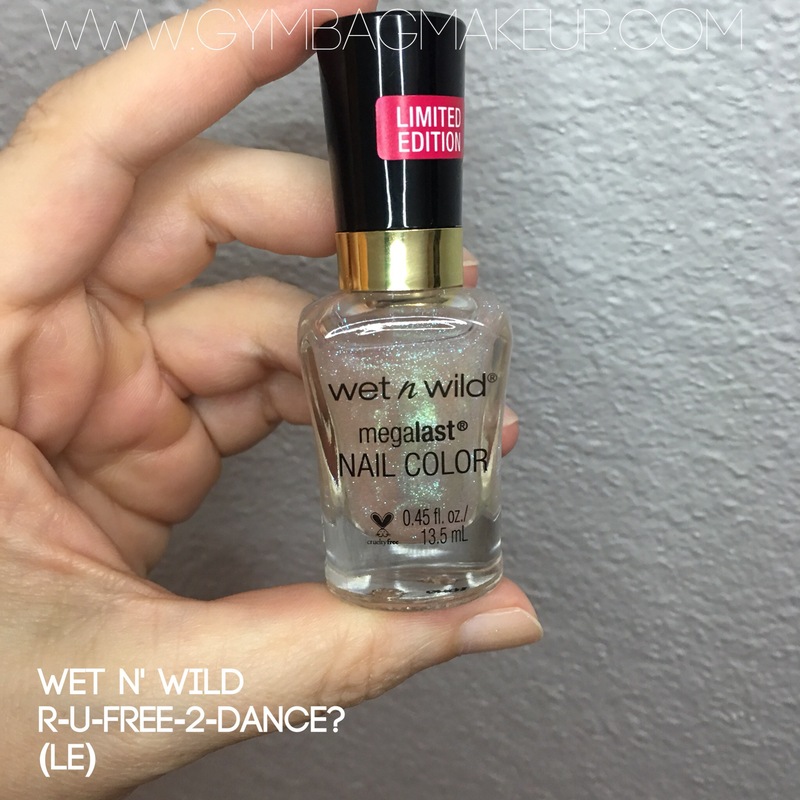 By far my favorite item that I purchased has been “R-U-Free-2Dance?” (RUF2D) nail polish. Dumb name, but really lovely polish! Very rough nails. Poor little things. I could do with a trip to the nail salon I think! I’m not normally into really sheer polishes but I’m loving this one. It makes my fingernails look clean and fresh and glowy and it makes my hands look tan (which is kind of impressive for this time of year!). This is the first time that I’ve actually worn nail polish since about Thanksgiving and I was still feeling pretty lazy so I didn’t use a base coat or a top coat. 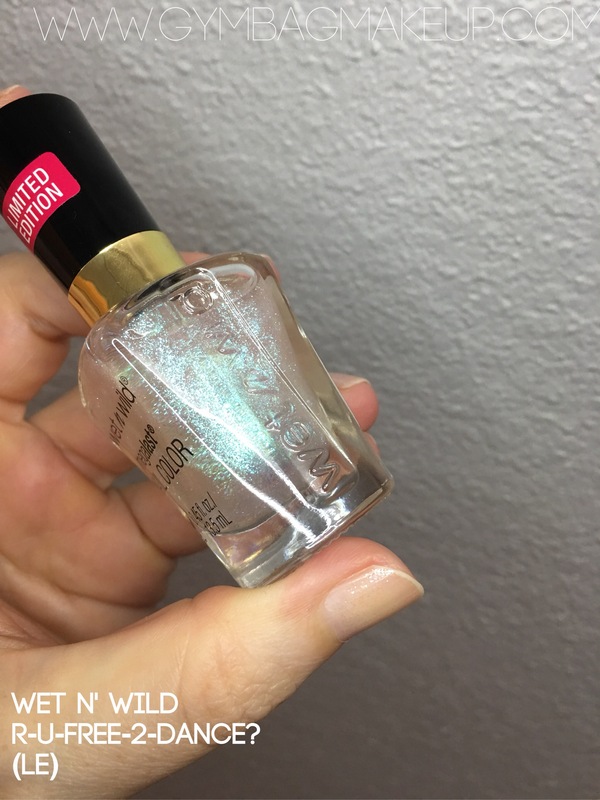 Normally even with the base and top coat, I get a fair bit of chipping from WnW polishes so I was surprised that RUF2D held up as well as it did! I started seeing chips after about three days and a week later it’s looking pretty banged up. 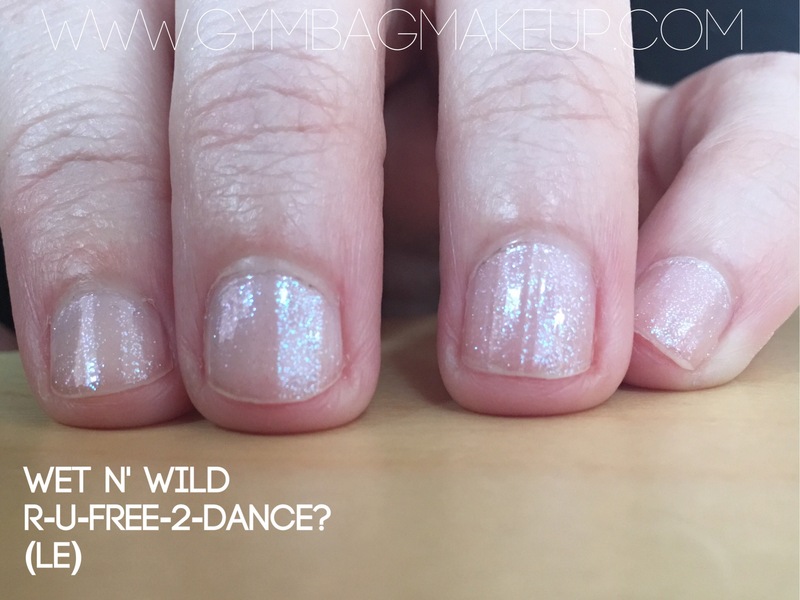 I like the way this polish looks so much that I think I’ll actually just re-do this manicure with the addition of some top coat and if it’s wildly different in the wear time department I’ll add a little edit at the end of this post. I also think that this shade would be really pretty over a black base! Over bare nails it’s a soft duochrome shimmer that travels between lavender and blue. It’s really gorgeous! As of today (March 13, 2017) I have seen this collection available in CVS within the last week. If you like these kinds of shades I would say it’s definitely worth checking out! Did you buy anything from this collection? What are your thoughts on very sheer polishes? It’s so hit or miss for me! I can’t remember if I already told you this but I’m doing a low buy 2017 project. Each quarter I’m allowing myself one purchase at the end of the quarter but the rest of the year will be a no buy situation. Let me know if you have any interest in a whole post discussing this! As it is, I didn’t manage to stick to one purchase for my first quarter, but I was really close. I only went over just a smidgeon. There’s a learning curve here ok! I’m back to reading the Faith Hill series about Jane Yellowrock and I’m still really enjoying it! If you’re into urban fantasy that isn’t too heavy on the romance it’s worth looking into. The new Mercy Thompson book just came out and I have it in my bag! Can’t wait to start reading it! I’ve gone nuts purchasing bath products and stationary products in the last two weeks. It’s been a stressful couple of weeks and I am a complete stress shopper. It’s insane. I need to figure out a different diversion! Although I’m justifying my shopping insanity because baths with pretty bath bombs and journaling are my two favorite self care/de-stressing methods so it makes sense that I would jump into a purchasing frenzy. I want to hear more about your low buy. I’m on a low buy as well, trying to use things up in my stash! Not a separate post – but I’ve talked about it in my monthly empties and in my spring cleaning project collab that I’m doing with Ingrid. I’ll check out your spring cleaning project posts, I think I must have missed all of those so far! There’s only been two so far – one last week, and one in early Feb! I contemplated doing the no buy like you did last year but didn’t think I could stick to a year long no buy yet. I love your low but accountability posts! I find them so encouraging! Plus I’m nosy and I like to know what everyone else is buying or not buying haha. I’m a bit makeup’d out too! Last year I went big with the makeup and now I’m starting to feel anxious that I’m not using things before they go bad.